Golfers generally have several things in common starting with a love of the game but in my experience every one of them is also an armchair course architect. 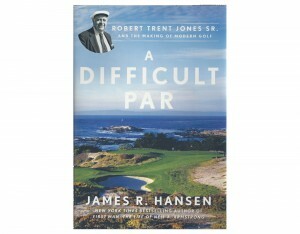 There are lots of books about design and even architects but James Hansen in his new book detailing the life of Robert Trent Jones Sr. provides readers with the best of both. Jones (no relation to Robert Tyre “Bobby” Jones Jr.) is one of the true pioneers of modern course design and architecture with in the range of 400 to his credit over a career spanning seven decades. Jones designed or redesigned layouts are host to professional tournaments around the world. This really is a compelling story and particularly interesting to me since after his family immigrated to this country from England when Jones was six they settled within a few miles of where I was raised outside Rochester, New York. I have played many of the courses he designed early in his career. From that experience and subsequently playing many other of his layouts it’s clear to me the characteristics Jones believed were inherent in the design of good golf hole…making it a “difficult par” and an easy bogey. The author also explores the relationship between Jones and his two sons and between the sons, both being world class architects in their own right. Robert Trent Jones, Jr. and Rees Jones are engaged in a decades old argument that has broken the relationship between the two much to their father’s dismay right until his death in 2000. Jones’ professional reputation was solidified by the redesign of the Oakland Hills course for the 1951 U.S. Open won by Ben Hogan and Jones was said to have “doctored” the layout by his addition of fairway bunkers, reshaping of the green complexes and restricting the fairways to bring the extreme rough into play. This type of penal design and setup became the norm for Opens and eventually Jones “doctored” twenty other courses along similar lines before they were deemed acceptable to host our national championship. As “The Open Doctor” Jones’ way of building a course exerted a broad influence on the design and setup of non-Open courses. Along with the always flawlessly manicured Augusta National they became the de facto standard regular players wanted met by their local facilities. It’s not too much of an overstatement to say Jones courses were a major factor creating the crisis faced today by golf course businesses since caring for a multitude of bunkers, convoluted greens rolling at tour-like speeds and wall-to-wall green grass significantly increase course maintenance cost, a cost even high-end private clubs often struggle to meet. 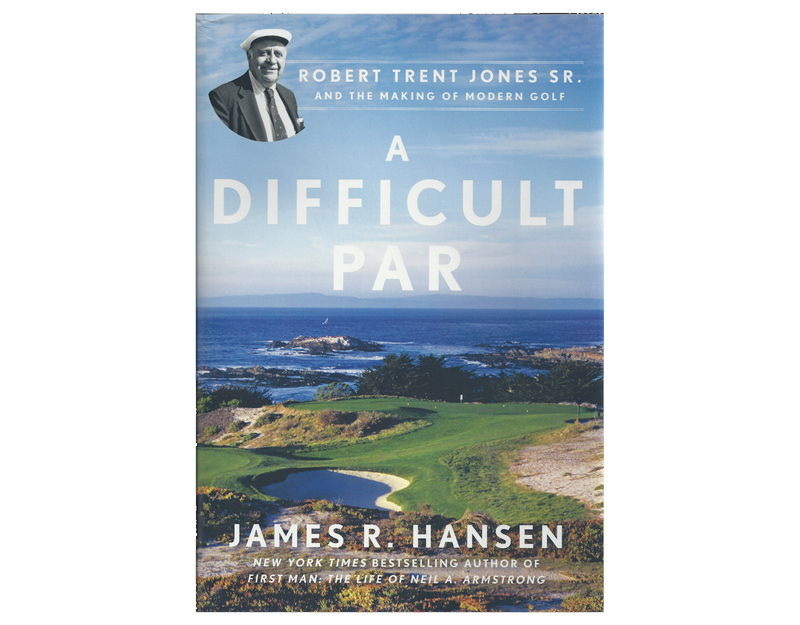 Hansen’s book is a very good way to understand what it takes to design a modern golf course but more significantly an understanding of the thinking of how he arrived at his designs of arguably the most important architect in the game.